Multifunction printers are needed by business people, including Small and Medium Enterprises. However, the available budget is often not yet possible to buy a machine. Answering this issue, Astragraphia Document Solution provides special machine rental facilities for A3 multifunction copiers that can be tailored to customer needs. The devices that are available for rent comes in two choices, monochrome, and color. Customers can also choose new and reconditioned machines (90% new). During the rental period, customers can use products and full services from Astragraphia, including the services if there is damage or run out of toner. Customers can contact Halo Astragraphia 1500345 or email to ccc@astragraphia.co.id. For engine damage, customers are also entitled to receive 3 Hours Down Time service, exclusive service for Astragraphia customers of machine repair guarantees within 3 hours from the time it was reported. More information about the 3 Hours Down Time service. The machines lent to customers are machines owned by Astragraphia and are insured. So, if there is a force majeure such as a natural disaster (fire, flood), the machine can be replaced with a new one. Customers should simply attach a report issued by the local police officer. Astragraphia Document Solution is the exclusive distributor of Fuji Xerox in Indonesia and has been a public company for 42 years in Indonesia. Astragraphia Document Solution has 32 branches and 92 service points spread throughout Indonesia. Click here to find out the branch office of Astragraphia. For those of you are entrepreneurs who are running the business well as startups, SMEs and for large companies though, the need to print and carry out activities such as scan, print, photocopy, fax and others are things that cannot be released. 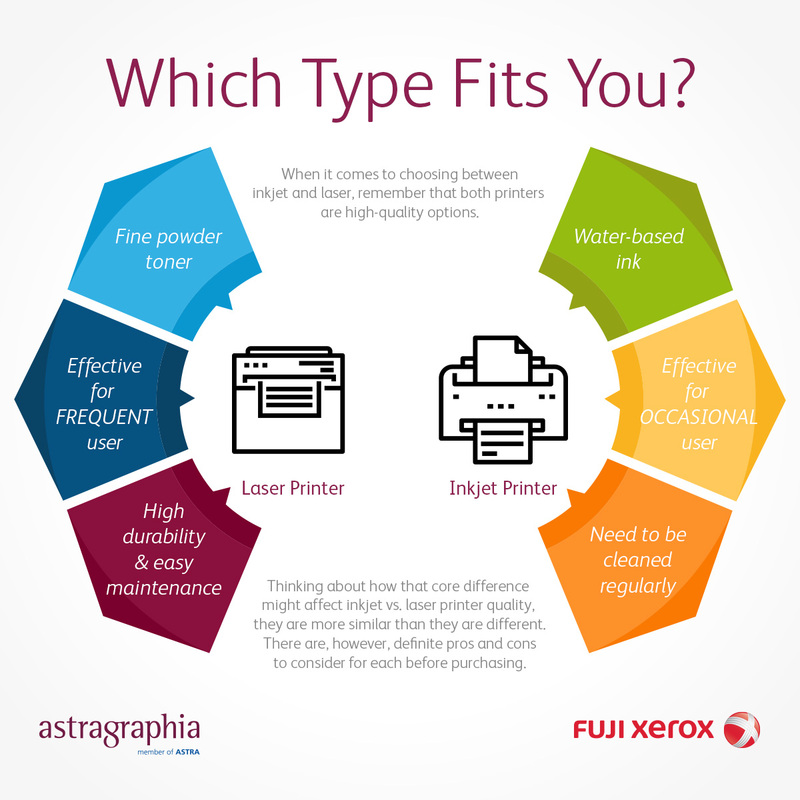 Laser Printer Users, Here’s the Tips to Maintain Your Printers! The technology in printers are constantly being upgraded, start from stand-alone printers to multi-function printer that has the features to Print, Copy, and Scan, even Fax.